Riccardo graduated in 2004 from the University of Brescia Dental School in Italy. He continued his studies where he graduated with a masters in Endodontics at University of Verona in 2007. He is an Active member of Italian Society of Endodontics as well as the Italian Society of Microscopic dentistry. Riccardo works as an Endodontist in Brescia where he plans and carries out research for the Dental University of Brescia. Dr. Tonini, in cooperation with Style Italiano Endodontics, is a developer of several important devices in modern endodontics including ProTrain, ERGO, PLANO and many others. 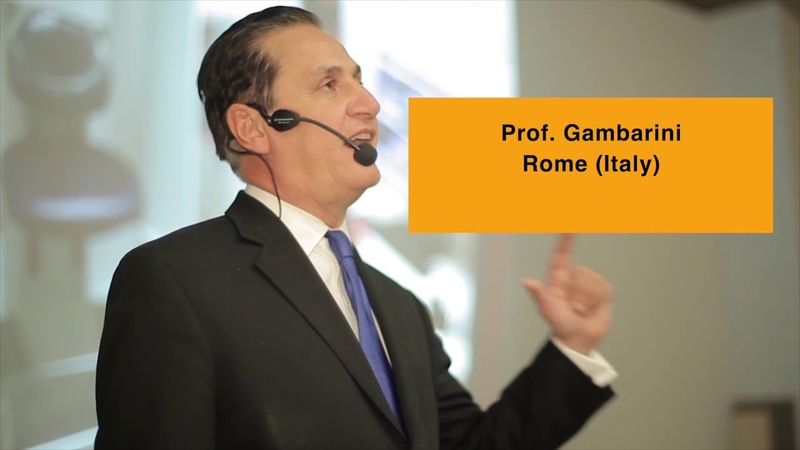 Professor Cotti is the Chairman of the Department of Conservative Dentistry and Endodontics at the School of Dentistry, University of Cagliari, Italy. She is currently the director of the post graduate program (Master) in Endodontics. She teaches in the Advanced Education Programs in Endodontics at the University of Bologna and she is lecturer in the Department of Endodontics Loma Linda University, USA. She is active member of the AAE, of the Italian Association of Endodontics (SIE) where she has served as executive member for ten years, of the European Association (ESE) where she has served as Country Delegate for seven years. Head of Department of therapeutic dentistry and Director of Institute of Dentistry of the Sechenov Moscow State University. Author of numerous scientific articles in many peer-reviewed endodontic journals. Chief Editor of the journal Dental Tribune Russia. 12:00 - 13:00 Lecture: "Latest trends in differential diagnosis of the Vertical Root Fractures." Thomas Kvist is presently Head of Department of Endodontology, University of Gothenburg, Sweden and is holding a position as an Associate professor. He has published articles in peer-reviewed journals on decision-making and clinical outcome in endodontics. He also authored several textbook chapters. He is a member of the editorial board of the International Endodontic Journal. Thomas Kvist is also a participant in the Endodontic Research Collaboration in Scandinavia (EndoReco). 13:00 - 14:00 Lecture: "Apical periodontitis in root filled teeth - retreatment and new recently published alternative approaches." Dr. Trope is currently clinical professor, Department of Endodontics, School of Dental Medicine at the University of Pennsylvania. He is in private practice in Philadelphia, PA. Dr. Trope is a founder of the famous training center “Next Level Endodontics” in Pennsylvania, USA. He created this center drawing on his extensive academic background and “real world” experience in private practice. 15:00 - 16:15 Lecture: "Anatomically Driven Endodontics. The XP family of endodontic instruments has been modeled to achieve a fusion of technology and biology that integrates all variables essential for predictable endodontic success." Dr. Kratchman currently serves as an Associate Professor of Endodontics and the Assistant Director of Graduate Endodontics, in charge of the microsurgical portion of the program. Dr. Kratchman has authored several articles and chapters on endodontics in both journals and for Dental Clinics of North America, and has co-authored the textbook of Endodontic Microsurgery with Dr. Kim in 2017. 16:15 - 17:30 Lecture: "Latest Penn Endodontic Microsurgery techniques: From A-Z and Management of Complications"
For the last ten years Dr. Chaniotis has served as a clinical instructor affiliated with the undergraduate and postgraduate programs at the School of Dentistry and the Department of Endodontics at the University of Athens. Dr. Chaniotis currently serves as an active member of the Hellenic Society of Endodontology and the Academy of Microscope Enhanced Dentistry and is a certified member of the European Society of Endodontology. 09:00 - 10:00 Lecture: "Management of Severe Curvatures and Complex Anatomy with controlled memory files: A New Approach for minimal intervention"
Dr. Cochet has served as a clinical assistant professor at the University of Paris VII from 1986 to 1990. He is now teaching since 1999 at the Post graduate program of Endodontics of Florida Southeastern University NOVA. He is also Clinical teacher in the post graduate program of Paris Diderot University since 2010. He was President of the French Endodontic Society from 1998 to 2000. Dr. Cochet made numerous international presentations on endodontics, traumatology and endodontic surgery, fascinated by the bone regeneration technics and sinus pathology treatment. Dr. Yoshi Terauchi is a world renowned endodontist of the CT and Microendodontic Center in Tokyo, Japan. He specialized in modern minimally-invasive techniques of broken files removal in endodontics. He has developed the famousTerauchi File Retrieval Kit which includes the Yoshi Loop, a revolutionary micro-lasso that allows for unparalleled access to broken files in narrow and curved canals, and modified ultrasonic tips that require minimal tooth structure removal. 11:30 - 14:00 Lecture: "Latest predictable and minimally invasive techniques in removal of fractured instruments by Dr. Yoshi Terauchi"
Full-time Professor; Head of the Endodontic Department, University of Rome, La Sapienza, Dental School; Director of Master of Endodontics in Sapienza. International lecturer and researcher, author of more than 450 scientific articles, 3 books and many chapters in other books. He has lectured all over the world and has been invited as a main speaker in the most important international endodontic congresses and many Universities worldwide. Active member of SIE, Certified member of ESE, he is currently the Chairman of Clinical Practice Committee of ESE and member of the scientific committee and/or reviewer of the most important international endodontic journals. 15:00 - 16:30 Lecture: "3D Endodontics: new scientific-based trends and recently developed softwares in diagnosing and treating the root canal diseases." UPENN (Martin Trope, Samuel Kratchman). Live-demo Workshop. Martin Trope: Anatomically Directed Endodontics-Hands-On. This hands-on workshop will acquaint the attendee with protocols for successful endodontic treatment outcome; optimal debridement and disinfection of the root canal space. The integration of dentin conservation, sealing of the root/coronal spaces in conjunction with a restoration that preserves the volume and integrity of the residual clinical crown will be detailed. Minimally invasive 3D cleaning resulting from a new generation of virtual core NiTi instrumentation and bioceramic root filling technologies will be explained and demonstrated. These evolutionary technologies promise enhanced prevention and treatment of apical periodontitis resulting in long-term survivability of the endodontically treated tooth. Sam Kratchman: This LIVE-DEMO workshop will demonstrate the importance of proper positioning of the microscope/patient/doctor for microsurgery, enabling the practitioner to do surgery comfortably and efficiently. A complete surgery will be performed on an extracted tooth mounted in a stone model in a mannequin head, reproducing real-life situations. The procedure will be performed under the microscope utilizing all the microsurgical instruments as well as the new generation of bioceramic putty for root end fillings. The armamentarium will be discussed in detail, allowing the audience to see each instrument’s relevance for the procedure. Minimally invasive preparation for instrument removal followed by the predictable instrument removal. It is shown and discussed how to make accurate diagnosis and treatment planning for instrument removal. Then, in the workshop both the minimally invasive and predictable preparation techniques are shown and exercised, followed by the predictable instrument removal with the Terauchi File Retrieval Kit (TFRK). Those techniques are performed to both maximize the success and minimize dentin sacrifice without causing iatrogenic events. The plastic tooth models and extracted teeth with broken files will be used in the workshop for practice. Jean-Yves Cochet. ENDODONTIC SURGERY and SINUS. Live-demo Workshop. 3d endodontic obturation and restoration. With the increasing clinical use of 3d radiography, quality and outcome root canal treatment can be more accurately visualize. The three.dimensional filling can be more precily defined and assessed, and same can be done with follow up of healing process. As a consequence the quality of both obturation and restoration procedure must be improved to increase long-term success of our treatment. The workshop will show the latest advancement in the two above mentioned procedures. Besides the main scientific part of the meeting we are organizing a big exhibition featuring the leading manufacturers in endodontics. Thanks a lot to our amazing partners for your trust and support. Looking very forward to it! The ENDOPOINT 2019 congress features the leading world known endodontists from USA, Italy, Greece, France, Japan and Russia, including the representatives of the famous Penn University Dr. Martin Trope & Dr. Sam Kratchman, and the world known specialist N.1 today in broken files removal Dr. Yoshi Terauchi from Tokyo, Japan. This is a new super modern conference center located in the very downtown of Moscow. The newest equipment, a huge LED-screen, comfortable workshop rooms. This is going to be a totally new format of a congress. Sightseeing tour "Moscow at night"
Have you ever seen Moscow at night? It is a riot of colour, traffic, clubs, theatres, restaurants and much more! The city changes its look dramatically, buildings become difficult to recognize and everything looks as though you are in a fairy-tale! Brightly illuminated streets and avenues, making all sights even more fantastic. You will be amazed by it! During your 3-hour night tour you can marvel at twinkling colors of Red Square, then from the side of Sophia embankment you will be able to see all the imposing views of Kremlin. You will also pass by the monument to Peter the Great, the House on Embankment, Poklonnaya Hill, the Arch of Triumph, Kutuzov avenue, New Arbat St., Boulevard Ring, famous squares like Manezh Square, Theatre Square, Tverskaya St., Pushkinskaya Square, etc. Our guide will pick you up right from the Congress venue after the UPENN Workshop. “Bolshoy” is one of the greatest theatres in the world, with its own proud traditions and unforgettable atmosphere. An evening at the Bolshoi is really an essential part of a visit to Moscow. The building itself is one of Moscow's most symbolic sites, a truly impressive example of Russian Classical architecture that faces the Kremlin walls, and some fairly tacky open air bars and restaurants, with proud indifference. The Bolshoy is the second biggest opera house in Europe (after La Scala), and grandeur and artistic strength are combined in everything from the impressive statue of Apollo that crowns the facade to the ballet's famously muscular style of choreography. For tickets please visit the official website of Bolshoy Theatre. The Moscow Kremlin is a must-see attraction in Russia, a beautiful fortress in the heart of the city full of history and legends. It used to be a residence of Russian tsars and communist leaders and now it's a working place of the president of Russia. Behind the medieval walls you will discover the oldest square of Moscow and amazing cathedrals where Russian rulers used to get married, crowned and buried. You will see once the largest cannon and church bell in the world. 8 hundred years of Russian history in one place! Don't miss this experience with Us! How many CE (ADA CERP) Credits will I get? After the congress, every participant will receive an official CE certificate verifying his or her attendance. The main scientific programme provides 18 CE credits, while the optional hands-on and workshop courses yield up to ten additional credits. A Russian visa is required for citizens of most countries. However, Russia recently entered into a visa-free agreement with several European, Asian and South American countries. Please contact the Russian consulate in your country to check whether the visa-free regime is applicable in your case. Contact info is available here. If I book a tour option, like Moscow at Night or Moscow Kremlin, will I be picked up from the hotel and dropped back off after the tour? If you book the official event hotel, Golden Ring Hotel, our bus will pick you up and drop you back off. If you book at any other hotel, please contact us and provide the hotel name and address. Based on the hotel’s location, we will check whether it will be possible to pick you up at your hotel or rather establish a meeting point elsewhere. Note that "Moscow at night" tour will start not from the hotel but from the Congress venue right after the UPENN Workshop (April 26). What hotel do you recommend in Moscow? The ENDOPOINT committee recommends the Golden Ring Hotel based on its price, quality and location. This is the official event hotel. A special discount for accommodation at this hotel is being offered to ENDOPOINT congress participants for the congress dates. Please use the promo code "ENDOPOINT2019" to get the discout while booking on the hotel website. However, you may book any other hotel in Moscow, and we will be happy to advise you by e-mail on the best means of travelling from your hotel to the congress and to places of interest in Moscow. If I would like to make use of the opportunity to visit St Petersburg or any other cities in Russia too, how can I obtain all of the necessary information to do so? The ENDOPOINT committee will be happy to make suggestions and provide all of the necessary information should you wish to tour areas outside of Moscow. We can help you with airplane or train tickets and recommendations concerning other aspects. Please feel free to contact us at info@endopoint.com. © 2019 ENDOPOINT - All rights reserved.